I’ve got my eyes on those lovely shades of pinks, purples and blues! Gorgeous color! Question from a non-weaver (so forgive me if it’s dumb! 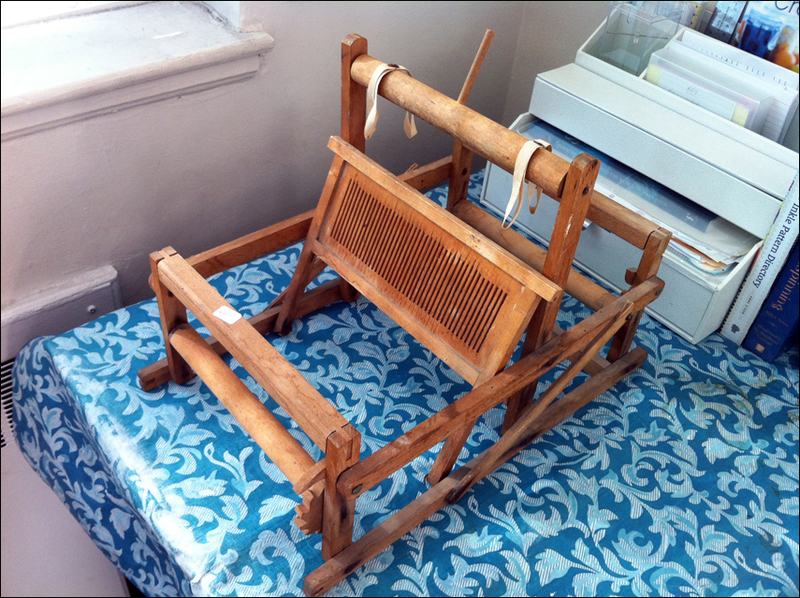 ), what is the difference between that adorable little loom and a rigid heddle? 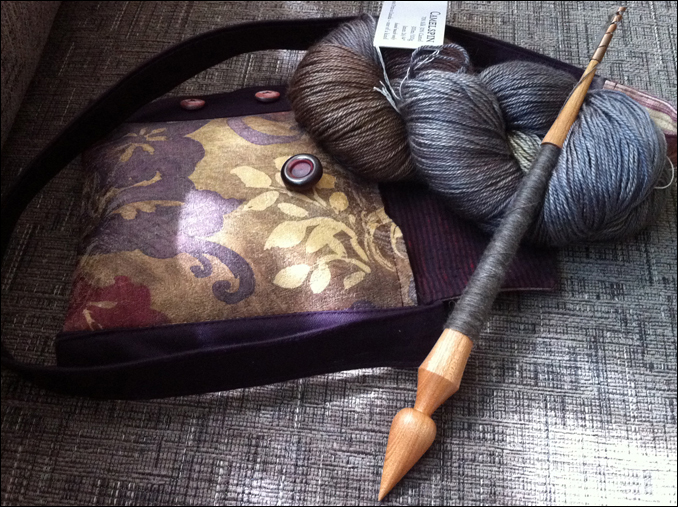 You referred tothis one as a two shaft, but wouldn’t that be the equivalent of a rigid heddle? I just managed a mauvey shade that you might like! Still feel like doing some knitting? 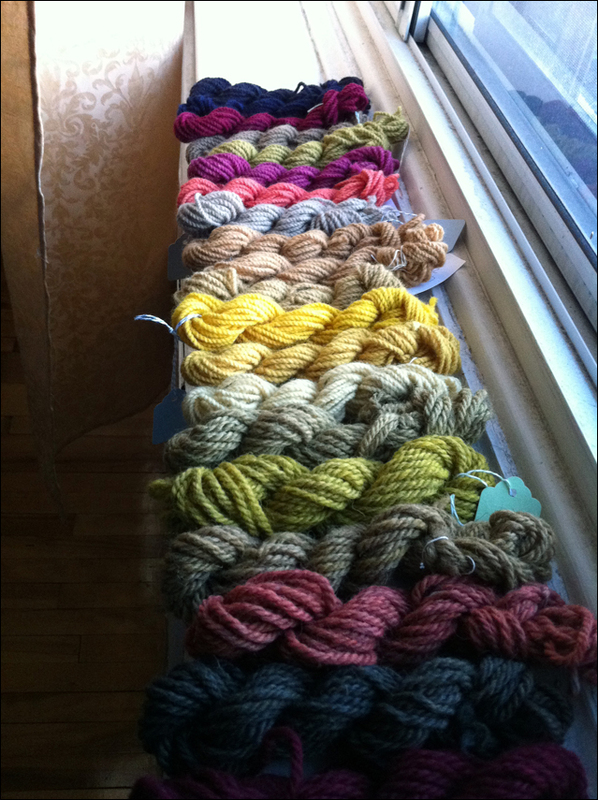 In terms of what you can weave, it’s the equivalent (more or less). 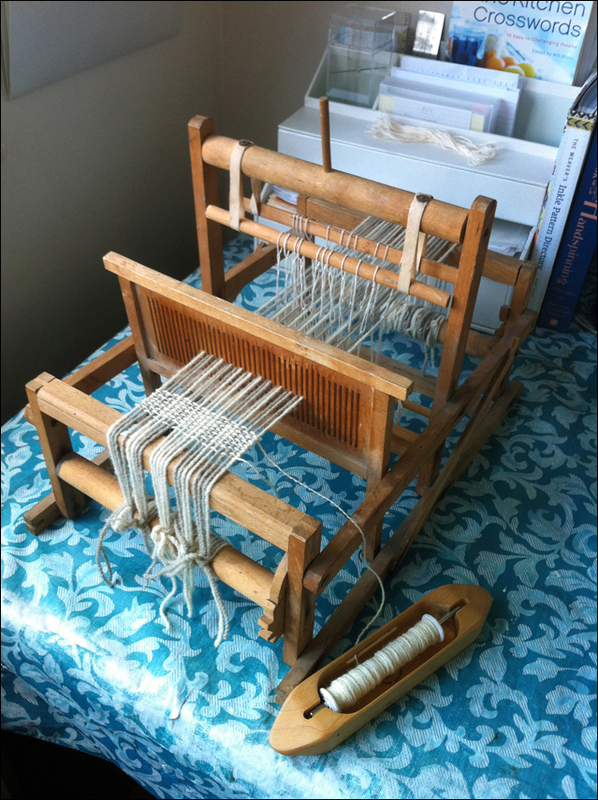 What’s different is the way it’s built: a rigid heddle doesn’t have shafts or harnesses, so you wouldn’t need the dowel-and-string contraptions you see above. The rigid heddle is more like a movable reed with holes as well as slots. You could make one fairly easily if you were so inclined! 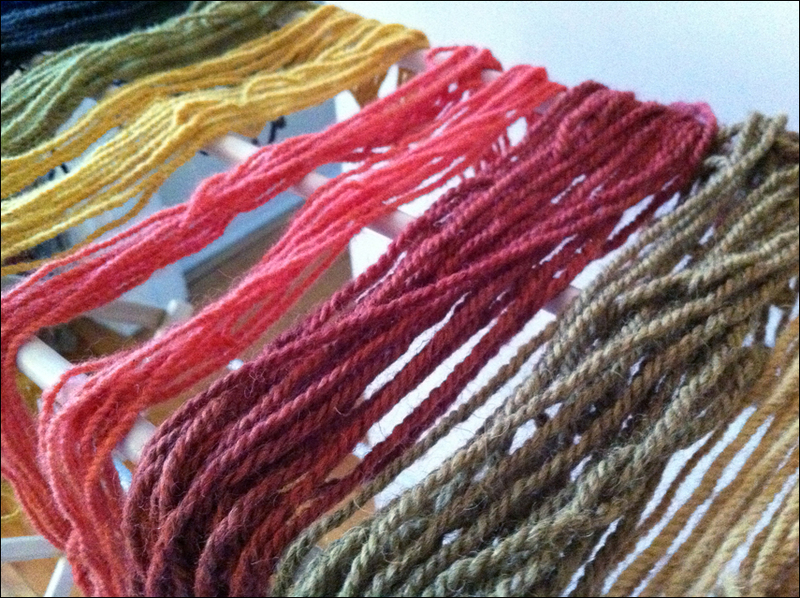 What a clever person you are…to bring that petit loom back to life! So glad it has a forever home. My little brio loom came to me as an early Christmas gift from my dear hubby John. I have just started weaving on it . It is actually my second loom . I however have had to sell my first which was not a very good one, In any case,this little loom is a lot of fun to work on. 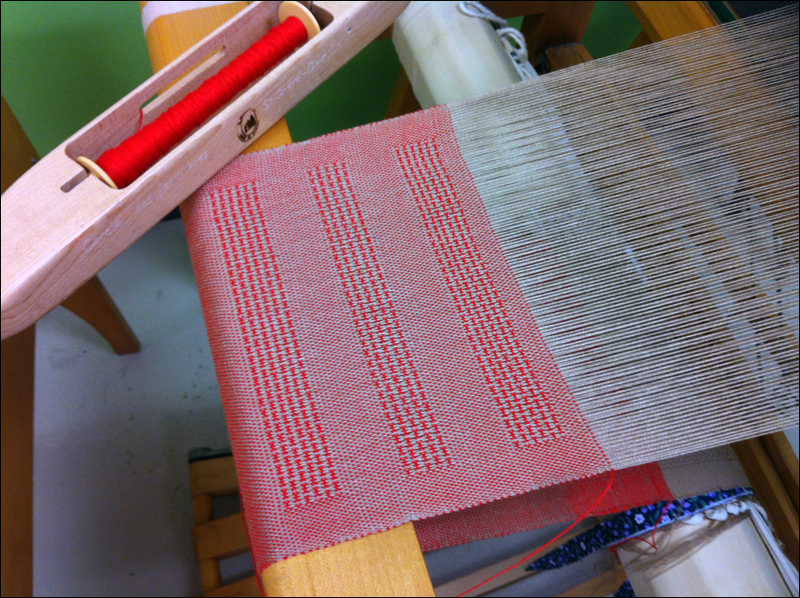 Mine is a newer model with a red plastic rigid Heddle and plastic(nylon?) rachet and pawl set up. 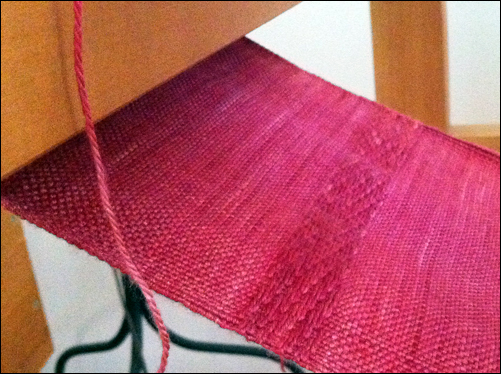 I to have taken to releasing tension on the warp before leaving my project each time I’m not at all sure if this is common practice either but it seems logical to me.